Today, I welcome Krystal Norton to Queering Up Your Bookshelf. Krystal’s poetry collection, Rip&Tear, illustrated by Emilee Koehler just came out earlier this month. Krystal is here to talk about her inspiration for writing, her favorite things about queer poetry and what inspired Rip&Tear, her love of K-Pop and Harry Potter, as well as all the future projects she’s currently juggling. Krystal Norton is a pansexual poet and author living in Texas. When she’s not writing words, she works for a mortgage company as their Document Specialist. She is a practicing Pagan who’s beliefs can be seen in many aspects of her work. Her most recent publishing credits include Hashtag Queer: LGBTQ+ Creative Anthology Vol.2, Alt-Minds Magazine Fall 2018 Volume, and her debut poetry collection Rip&Tear. I have always been fascinated by books. In 2001, Harry Potter and the Sorcerer’s Stone came out in theaters. I had not read any of the books at that time, but I fell in love with the movie. So, that year for Christmas my grandparents got me the first four books. It took me close to a year to read them, and when they were done, I started writing my first attempt at fanfiction. Ever since then I’ve been writing. Recently, I’ve found a lot of my inspiration from K Pop music videos. And, since there are always new comeback’s I seem to have an endless supply of them. Some of the most influential groups, for me, are BTS, EXO, MO NSTA X, GOT 7, TWICE, DREAMCATCHER, RED VELVET, and VIXX. Each of these groups have different styles and vastly different concepts, but they always put out a quality product that I can find some type of inspiration in. To me, representation is about putting everyone in your work. It’s about making a work reflect the real world. In my fiction writing, I try to imitate my personal friend group when creating a group of people. I personally think my friend group is diverse and by imitating that group, I can put more representation in my works. For poetry, it’s a little bit harder. Poetry is a little more personal so the representation would be for other people who are like me ad have been through similar experiences. My writing process is really all about the draft and its number. So my very first rough draft is always written quickly and turns out to really be just me getting the story down on the paper. When I say quickly, I mean it takes me between one and two months to put this down. I do not edit as I go. Then I let it sit and I go and do other things for about a month before coming back and reading it. I read is straight through without editing anything other than some basic spelling issues. If I see a major issue, I will highlight it for when I get ready to edit. Then I start my editing process. For poetry, I write my poems and let them sit for a day or two. If I let them sit for a month, they become irrelevant to me. I read it and edit it and usually in a week, I’m ready to submit it to journals or place it in the collection I’m working on at that current moment. 5. What is your favorite thing about writing queer poetry? I think that poetry is such a fun art form. Poetry is about getting a full story across to someone in a very small amount of words. Especially for me since I write micro poetry, meaning my poems tend to be no more than 20 lines/ 100 words long. Queer poetry is even more special because it is getting out the feelings and emotions of being queer quickly and precisely, and because it’s done that way, it makes bold statements that can be expressed and read quickly. It took me a moment to figure out my answer to this question. Originally, I wanted to talk about the crappy first draft but there’s enough out there about that. My best piece of writing advice is to let your work rest. If you think you’re running out of ideas put it down, walk away, come back in a week. When you finish a manuscript for the first time, set it down for at least a week preferably a month. You need new fresh eyes even if they are your own eyes. The hardest lesson I had to learn was that sometimes what you write is crap and you need to let it go. I have poems that I love, I truly love them but they are just terrible. They will never be published unless I force them into a collection. Those poems are honestly just better left alone to gather dust. Same goes for prose. You can spend months on a project and it will still be crap. The hardest thing is to just accept that fact and move on especially after you’ve put some much time and effort into it. My poetry collection Rip&Tear is about finding your voice and using it. I hope that when people, especially feminine and feminine of center people, read the poems they realize they are not alone and that if I did it they can as well. I want them to feel empowered and to know that the path of healing and self-discovery is hard but it can be taken and you can over come it. The last queer book I read was actually Ruin of Stars by Lindsey Miller. It’s the sequel to Mask of Shadows, which is about a gender fluid assassin. I love fantasy novels and being able to read a book where a gender fluid assassin gets the girl made my heart pound so loudly. If you enjoyed Throne of Glass by Sarah J. Maas but you wanted it to be queer then Mask of Shadows is the book for you. Recently I won Nano, so I’m letting that YA contemporary gay mental health romance novel sit on ice until mid-January. Currently, I writing poems for a Poetry Oracle deck that I’ve been working on since March of this year. 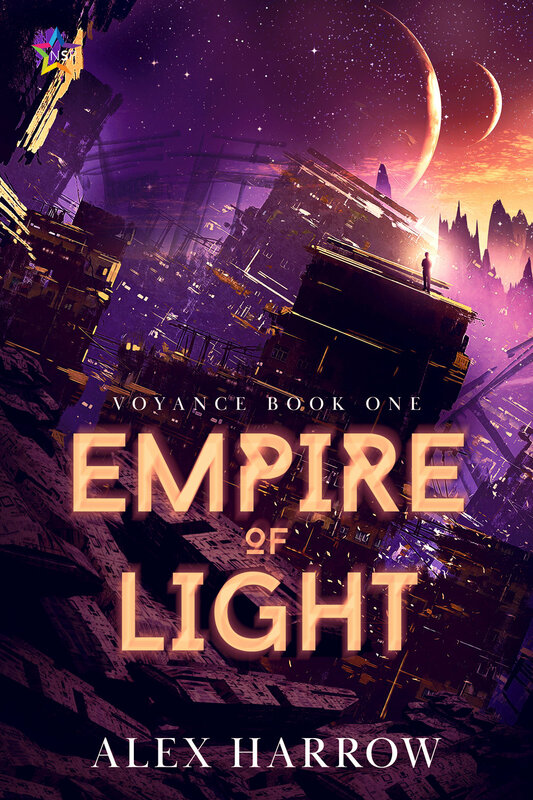 Once I’m done with that I’m hoping to start edits on my YA novel while finishing an adult contemporary fantasy about the Greek gods Apollo and Ares. It’s a lot of stuff, but it’s my favorite kind of juggling act. Sometimes in life, women can't find the courage to speak. But, every woman has a voice that can break the silence. 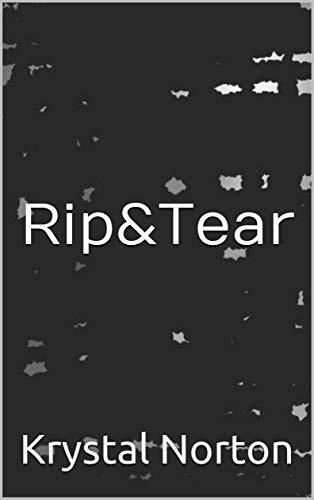 Rip&Tear is a collection of poems about love, overcoming abuse, self-discovery, and most importantly taking back your voice.